I Need Your Help! - "Ask a Millennial Professor" AND "Let Me Review Your Product"
This year's new blog feature, "Ask a Millennial Professor" needs some questions! :) This is a feature that will be available to readers every Friday! As most of you know, I am an avid user of Google Documents. I try to learn as much as I possibly can about this wonderful online software package. A university in my area, Texas Wesleyan University, has a great blog titled, "Center for Excellence in Teaching and Learning". One of their recent entries (as part of their series titled 12 days of CETL: Tips for the Holiday Season) focused on Google Docs to the Rescue. In her post, this professor (Dr. C) tells her readers how she uses Google Docs for organizational purposes (i.e. - writing book chapter manuscripts, working within their office, etc.). In addition to her experience with Google Documents, she also created a Google Doc (go figure) consisting of various links and resources for educators who are interests in using the resource in their classrooms. Here's an amazing (and free) webinar sponsored by the Sloan Consortium and YouseeU! This workshop is titled, "Seeing and Hearing Online Students in an Asynchronous Environment - Increase Involvement and Authentic Assessments using Student Generated Video" and it will be held on February 8, 2011 from 2:00pm - 3:30pm. This webinar will focus on the key activities of student presentations in online courses, asynchronous video discussions, and oral exams conducted at a distance. After wrestling with the use of video in asynchronous online courses for over 12 years, Dr. Jeff Lewis designed and developed an academic system to solve the problems faced in his online courses. The system has proven effectiveness and has matured into a full-featured academic platform in use at leading institutions. Asynchronous online learning has gained widespread acceptance because of the flexibility and convenience it provides to students and increased reach it facilitates for institutions. To date, the majority of interactions and assessments in these courses has been text based, incorporating discussion boards, written tests and reports or essays, and occasional chats. Advancements in synchronous web interactions and conferencing have been significant, but don't always fit the mission of the asynchronous model. Student video recordings used for discussions and presentations show promise for increasing rich communication and interaction in asynchronous courses. Because of issues related to file size, student privacy, and workflow efficiencies, video interaction has been limited. Recent advancements in academic tool sets are facilitating increased usage of student video recordings. This webinar will focus on the key activities of student presentations in online courses, asynchronous video discussions, and oral exams conducted at a distance. After wrestling with the use of video in asynchronous online courses for over 12 years, Dr. Jeff Lewis designed and developed an academic system to solve the problems faced in his online courses. The system has proven effectiveness and has matured into a full-featured academic platform in use at leading institutions. NOTE: If you have a disability, use assistive technology, or may need accommodation to fully access a webinar, please email us at workshop@sloanconsortium.org. You will be contacted by someone from our workshop staff as quickly as possible to discuss your needs. If any of you are interested in the Scholarship of Teaching and Learning (a national movement), please check out this list of SoTL Mentors to the World. This is an amazing resource from the International Journal for the Scholarship of Teaching and Learning. This resource is like a "pick your own" mentor! :) What a great idea from the IJ-SoTL! At the beginning of each semester, I bring my new after class "snacks" to the office. These are my incentives for writing scholarly papers, reading student work, and attending meetings. This semester's snacks include Special K Fruit Crisps, Progresso Soup - several varieties, Food Should Taste Good - Sweet Potato Chips, and lots of Ozarka Water. In addition to my snacks, I always drink a cup (or two) of Honey Ginseng - Daily Green Tea from the Republic of Tea Company. Yum! This week's freebie is from the Quaker Company! Quaker Oatmeal Squares are a great, wholesome snack for professors and educators on the go! I actually like the cereal as dry snack. Such an awesome freebie for this Wednesday! I am excited to announce that the International Journal for the Scholarship of Teaching and Learning just released their FIRST issue for 2011! This issue is their fifth anniversary issue! Congratulations on such a great issue IJ-SoTL - LINK! The Unscholarly Use of Numbers in Our Assessment Practices: What Will Make Us Change? Inquiry Learning: Level, Discipline, Class Size, What Matters? Which Way to SoTL Utopia? What Makes for a High Quality SoTL Research Article? What Makes for a High Quality IJ-SoTL Research Article? If you teach media courses or if you integrate media literacy in any of your courses, here is a great website for you - "Welcome to Teaching Media". This website is a collaborative resources that facilitates the exchange of college teaching resources among faculty and those interested in media. Texas A&M University is teaming up with The Collegiate Licensing Company to launch a first-of-its-kind campus-wide social media scavenger hunt using smart phones. The scavenger hunt, scheduled for Jan. 25-26, is designed to encourage the university’s nearly 50,000 students to explore their 5,200-acre campus as never before—and reward those checking into campus destinations using their smart phones. What a great idea! 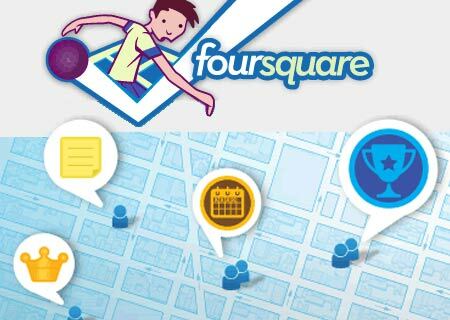 Recently, I started using Four Square and I plan to visit each of the locations on the TAMU campus very soon! Does your university have a similar program? I love the Centre for Learning and Performance Technologies website, because they feature A LOT of great ideas (which are released on a daily basis). Today's great idea was the "Top 100 Tools for Learning 2011 List". We are pleased to announce the publication of the Fall 20010 issue (Vol. (www.ijme-journal.edu) for full text free of charge. once you log in to the journal. Thanks for your continuous interest in and support of our work. IJME Editors and Heewon Chang, Ph.D. Philosophy and Practice in the U.S.
Interrogating Privilege: Reflections of a Second Language Educator by S.
Free Chick-Fil-A Simulcast on January 28th! - Great for Leadership, Communication, and Business Classes! GiANT Impact would like to invite you to experience our leadership content during a FREE 2-hour simulcast on January 28! Stop wasting resources needed for things that really matter. Register today to receive the FREE link to the Necessary Endings Simulcast, broadcast LIVE on January 28 from 9 a.m. to 11 a.m. EST. Also available on-demand from 12 p.m. to 8 p.m. EST. Service Learning - Celebrate MLK Day By Serving Your Community! I realize that a majority of you have not started classes yet, but today is MLK Day! Celebrate MLK day by visiting the following websites to learn about the creat service opportunities that are available around your area on this day! *Thanks National Service Press Office! Thanks to so many of you, the momentum of the 2011 Dr. Martin Luther King Jr. Day of Service is building, and results will be extraordinary! Across the nation, thousands of organizations will honor Dr. King and mark the 25th anniversary of his holiday by bringing Americans together in service to meet community needs. As we go into the final stretch, we want to remind you of a few key things that will help ensure that the 2011 MLK Day is a great success. • Tell us about your MLK Day project and how you made a difference using our Share Your Story tool (http://mlkday.gov/share/index.php). Be sure to include not only the number of volunteers but also any facts or statistics about your project's impact (e.g. number of meals delivered, schools beautified, food packages assembled, homes weatherized, etc). Include any involvement of elected officials, including service participation or proclamations issued. Your answers will help us highlight the many powerful ways Americans are honoring Dr. King through service. Our MLKDay.gov website has many helpful resources to make sure your project goes off without a hitch including tips on final preparations, an event checklist, talking points, media tips and more. We are about to unveil an extremely moving new MLK 25th anniversary video featuring Rep. John Lewis, Rev. Joseph Lowery, former Senator Harris Wofford and other civil rights and service leaders reflecting on Dr. King's legacy of service. This video is perfect to show at your MLK Day of Service event. Look for it soon on MLKDay.gov, and use it to inspire your volunteers. To mark the 25th anniversary of the holiday, and to continue the momentum for the MLK Day of Service throughout the year, we are launching the MLK 25 Challenge: What Are you Doing for Others? This initiative calls on Americans to honor Dr. King by pledging to take at least 25 actions during 2011 to make a difference for others and strengthen our communities. Stay tuned for more details on MLKDay.gov. Thanks again for all your hard work, and best of luck with all your planned activities. We can’t wait to see the impact of your efforts. "Ask a Millennial Professor" Friday - "How Do You Grade on Blackboard Using the iPad?" I recently came across your experiences with the iPad in the college classroom. I am a college professor as well and was very excited about not only the integration of the iPad in the higher education classroom but the usefulness for me personally. I must say, though, I never purchased the iPad personally as I was not able to access and grade papers through Blackboard (my son has one). I could get on Bb, but couldn't see all student submissions or open them. However, I noticed you mention that you use the iPad to grade through Bb. I was hoping you would enlighten me...I must be missing something obvious? Thank you for your question! Currently, our university uses Blackboard (CE Enterprise License - Release 8.0). This particular version of blackboard is very compatible with the iPad, iPhone, or iPod Touch (which my students use before and after class). I am able to see their submissions (which emerge in another window) and I am able to grade their submissions in an additional window. Now, I know that my last statement may seem a little "window" heavy, but the iPad is the multitasking machine! To help with the large number of attachments that can emerge from each of your online and hybrid classes, I recommend that you have your students create a Google Documents account and submit their papers via Google. This has helped my grading process become a little less time consuming since I can grade on the go! A New CourseSmart App for Students AND Professors! Over the holidays, I received an e-mail from CourseSmart. This e-mail promoted the company's new, free iPad/iPod application. In addition to the e-mail, I visited the company's blog and found an entry titled, "Getting the Most from Your Tablet". So, you got a tablet this holiday, and you can’t wait to take it back to school. While access to email, Facebook, and endless amounts of games are great, how can you really get the most of your new gadget this semester? Well, we’ve got a few tips to help you get the most from your device, and keep you at the top of your class. Don’t judge a tablet by its cover. Having a cool case for your tablet not only protects the device, but also serves as an extension of your personality. Companies like InCase offer cases in a variety of colors, materials and even patterns. But, why not make your case work a little harder? Cases with integrated Bluetooth keyboards are now hitting the market. Kensington recently released the KeyFolio for iPad, and Brando followed suit with a Bluetooth keyboard folio for the Samsung Galaxy Tab. Keep organized and carry on. Coursework can get overwhelming very quickly if you aren’t prepared for the onslaught of essays, exams, projects and presentations. Keep your school life, and personal life organized by taking advantage of your tablets built-in calendar app. Color-coding classes, or projects, setting reminders and alerts will help keep you on top of everything happening this semester. Need some heavy duty organization? Check out web-based calendars like Google Calendar or Mozilla Sunbird. Both calendars offer the ability to create a highly organized calendar with the added bonus of being available to you anytime, anywhere on any web accessible device. A newer player in the organization game is Scrybe. Scrybe is a web-based organizer that offers all of the functions of a regular online calendar plus, thought-sharing, list building and research assistance. Perfect for those team projects you will be tackling this semester! Ditch the paper! Save your back and the environment. Try something new this semester by purchasing eTextbooks instead of the old print versions. Not only are you eliminating the need to carry around those heavy textbooks, but you are also being green and saving some trees. Taking advantage of apps like CourseSmart’s new iPad app lets you view your textbook anytime, anywhere, and can save you some money as well. With features like highlighting, searching and printing, you can still mark up and even have print copies of the info you need most. Just grab your tablet as you head off to class for the day, and you’ve got all of your textbooks in one, easy to carry place! Once you’ve gotten your hands on a case with a keyboard and your eTextbooks loaded, you’re ready to tap out class notes like a pro, right? Well, even the pros could use a little help once in a while. If you decide to go paperless with your tablet this semester using a note taking or highlighting app can help you keep all of your class notes in order without having to carry around loads of binders or notebooks. New apps like Note Hub allow you to view multiple items at once, and you can even mark them up and take notes on them. You can easily view a textbook, notepad and calculator on one screen so you can tackle that crazy stats homework. You can even adjust the size of the items making the textbook larger so you can read the text, while still being able to use the calculator and write things down. Don’t let note taking for web research get you down. Many browsers now have compatible web highlighter add-ins that allow you to create persistent highlights, add sticky notes, and even share your highlights with friends. Now that we’ve got you started with some tips to help you get the most out of your tablet (and your education) this semester, you’ll be taking better notes, studying smarter and saving a ton of time. I hope you are having a great break (or a calm before next week's storm)! Over the break, I received this e-mail about a new service from SAGE publications. Please let me know what you think! SAGE is extending you a special invitation to be among the first to publish in SAGE Open – our new open access publication launching January 1, 2011. SAGE Open will publish peer-reviewed, original research and review articles in an interactive, open access format. Articles may span the full spectrum of the social and behavioral sciences and the humanities. Find out more at www.sageopen.com. Manuscript submissions will be handled online through SAGE Track, SAGE's web-based peer review and submission system, powered by ScholarOne Manuscripts™. Bookmark http://mc.manuscriptcentral.com/sageopen — manuscripts may be submitted starting January 1, 2011. Click here for full manuscript submission guidelines.